Compare funeral directors in Polmadie and read verified reviews on the UK’s online funeral resource. Use Funeral Zone Listings to find local funeral directors in Polmadie that meet your specific needs. You can organise the search results by ‘best rated’, 'nearest' or ‘most reviewed’. There is also a handy Google Maps feature so you can see exactly where each funeral home is in relation to each other. 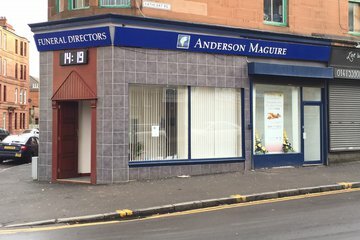 Anderson maguire was.excellent from start to finish, i could not find a fault if you asked me to, i would recommend to anybody who wants the perfect funeral. They do everything to the highest standard. Absolutely brilliant. Everything from start to finish of the highest standard. All staff every one of them including drivers 100 % professional in their duties. The horses and carriage absolutely stunning. Could not ask for a better send of for my mum. The car's also of high quality and comfort. Thanks for everything. Made a sad time in our lives pass as smooth and as comforting as one could ask for. Regards, Wm Adens. 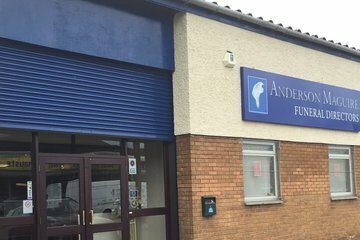 Anderson Maguire provided an exceptional service in a time of great sorrow for me and my family. Sympathetic and very clear on all the options they took a lot of stress out of a very emotional situation. A massive thank you to Martin Mcginley who dealt with mums arrangements from all the family.